Following our link-up with The Two Brewers and London Titans FC for a special ‘Watch the World Cup’ meetup on Sunday, 17 June, we’ve needed to broaden our horizons. 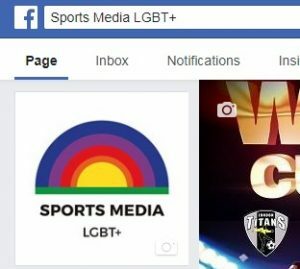 You can now find us on Facebook, where we’ll be sharing some of our network news and updates, as well as promoting great LGBT sports content from around the world. Just follow the link or search for ‘Sports Media LGBT+’.